Registration for Friday's Education Day includes all events and activities shown below including all meals: Healthy Start Continental Breakfast, Boxed Lunch, afternoon refreshments with entertainment and Hawaiian Dinner Buffet. Learn more about each of our guest speakers and their presentations HERE. Meet our Presiding Bishop who will be available for book signing and pictures! There will be entertainment and refreshments (non-alcoholic beverages). Be sure to bring your book for him to sign! Enjoy a delicious Hawaiian dinner buffet and a stir fry station that will offer vegetarian options. Learn more about the guest speakers and what they will be talking about HERE. You will be asked to select your morning and afternoon breakout session workshops in the registration process. Be sure you know which workshops you would like to attend before clicking on the link. Space in each of the workshops is limited, so if one is not available in one session, you may try selecting it in the other session. We expect this event to sell out. In order to maximize attendance, registration and payment for Friday and Saturday are being handled separately. ​PAYMENTS - Payment can be made online through PayPal or credit card. Checks may also be mailed, but be advised that registration is not complete until payment is received. If you choose to mail in your payment and do not receive confirmation of receipt within a reasonable time, please contact Rae Costa at the Diocesan Support Center at (808) 536-7776, extension 326, to be sure we received it. 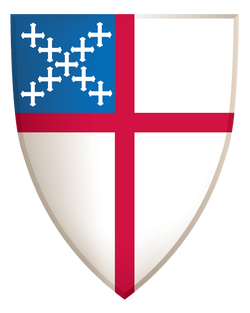 SCHOLARSHIPS AVAILABLE - If you are a member of an Episcopal Church in the Diocese of Hawai'i and are facing financial hardship, please inquire about available scholarships. Contact Rae Costa at (808) 536-7776, extension 326, or e-mail her. Deadline to register is Saturday, March 16! All members in the Diocese of Hawai'i had a chance to register early at a discounted rate which ended on February 15. Scholarships are still available. Contact Rae Costa (info shown above) to learn more. ​You may register up to two people on one form. If you know your workshop selections, click on the button above to register for Friday's Education Day NOW! If you attempted to register and it shows that registration is closed, click on the waitlist request link below. You will be notified in the order of receipt when an opening becomes available.